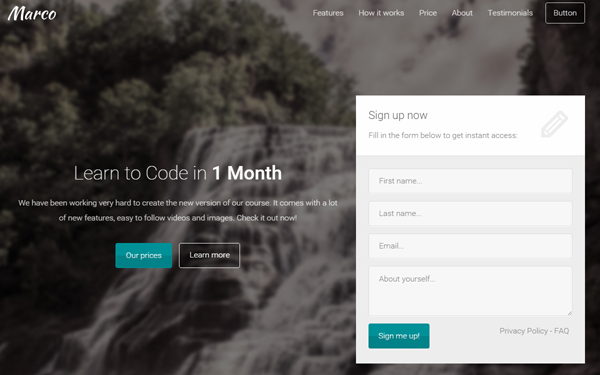 Today’s web design resource is another free Bootstrap template I just finished coding. 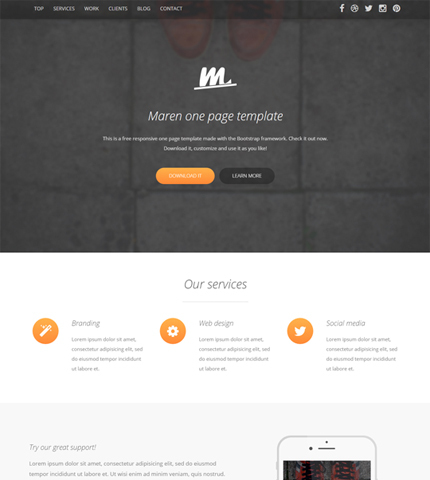 It’s called Maren and it’s a clean one-page theme that you can use for your business website, creative agency or portfolio. 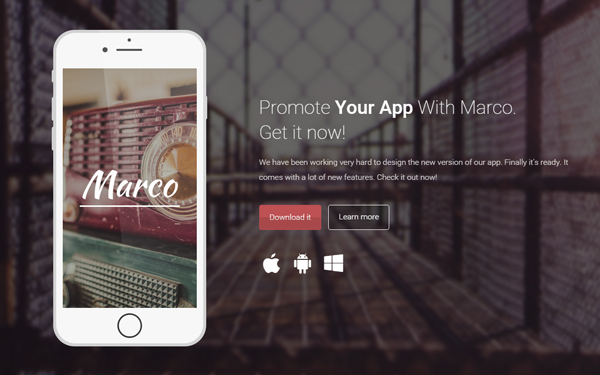 Maren comes with a responsive layout, modern and clean design, fullscreen backgrounds, CSS3 animations, Font Awesome icons, iPhone mockups, working AJAX contact form, etc. Take a look below to find the full list of Maren’s features, the live preview link and the download link. Enjoy! Fullscreen Backgrounds (Image Slider also available) – want some wood backgrounds and patterns? Learn how I’ve converted this template to Bootstrap 4 here. Want a Template with 15+ Layouts? I love your templates , I would like to know how to use the blog template in Maren , in relation to the load and view the post . I am very interested in getting it.